Multiple training Areas, Tea room, WiFi, Kitchen and more..
Wu Heng Dong (Master Kim) Yangshuo Traditional Tai Chi School’s co-founders and headmasters. He was born in Fang Chen Gang, Guangxi province in 1979 and began a lifelong love and study of martial arts at the age of 11 initially under the tutelage of his father, also a keen martial artist. After learning the basic skills of Wushu (Chinese martial arts) from his father, he went on to study Chen-style Tai Chi under Master Wang Hai Jun, obtaining a level 6 tai chi Master. 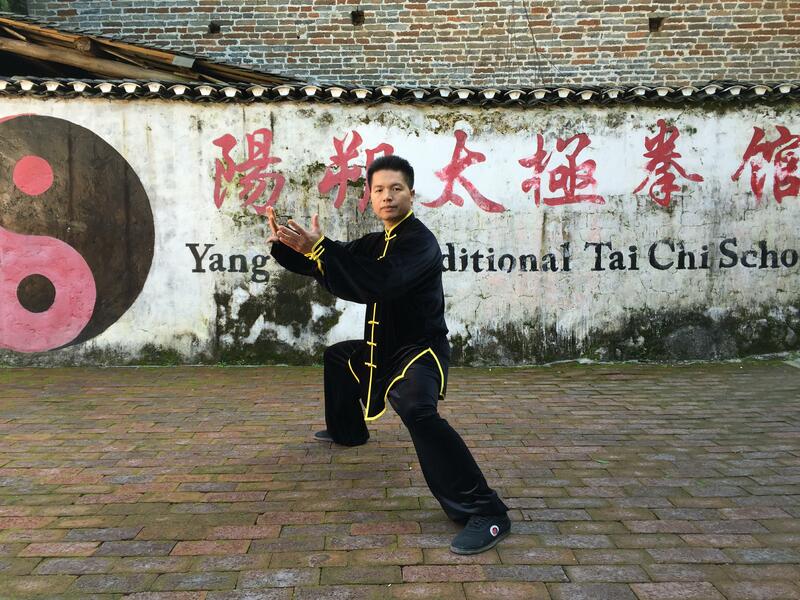 Master Kim with over 30years experience in both Tai Chi and Qi Gong,Xi Quan has been able to master Chen’s Taiji quan series and Taiji theory knowledge,and can better master actual combat offensive and defensive skills. He graduated from Guangxi National College of Health and Physical Education, receiving a Wushu and Tai Chi Coach Certification of China, Grade 1, First Degree. 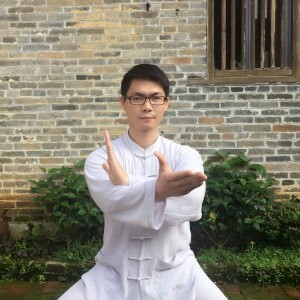 He has participated in many domestic and international Taijiquan competitions from an early age, specializing in fist forms and sword forms, and has won numerous gold medals. Wu Heng Dong was honoured to be made a 12th Generation Disciple of Chen Zhenglei, one of the four “Buddha’s Warrior Attendants (Si Jingang)” – the four outstanding exponents of the Chen family in Chenjiagou – who in December 1995 was recognized as one of Top Ten Martial Arts Masters of Present Day living in China. He was given the name Chen De Hao in recognition of this accomplishment. Master Kim specializes in teaching: Chen Style Taijiquan; Taiji theory; Tai Chi Qigong(internal strength); pushing hands (grappling); weapons; self-defense; Kungfu; & Sanda (Chinese traditional boxing). He has been teaching foreign students since 2000 and has taught people from numerous countries ranging in age from 4 to 88. He hopes that his students will return home to spread the teaching of Tai Chi to their own countries. The school once taught some students to take up teaching positions and participate in domestic and foreign Taijiquan and equipment competitions. Wu YuPing ( Master Ping )from Guangdong province Jieyang city, China. He is a level 6 Master with over 20 years experience in both Tai Chi and Qi Gong. Joint head and Co-founder of Yangshuo Traditional taichi School. In 2016 , He is honored to be a disciple of Master Xu Yakui. It takes a long time in order to achieve an understanding of the essence of taichi. In order to further improve, Wu Yu Ping often travels in order to study and share with different masters and taichi practitioners. He has entered many competitions and has won 18 gold medals. He is also proud to have received a certificate of excellence in coaching, from Guangdong sports center; due to his students’ success in competition. He is often invited for doing taichi and qigong workshop in China and abroad.